De Boer will be the next head coach for the MLS franchise, taking over the reigns from Gerardo Martino. 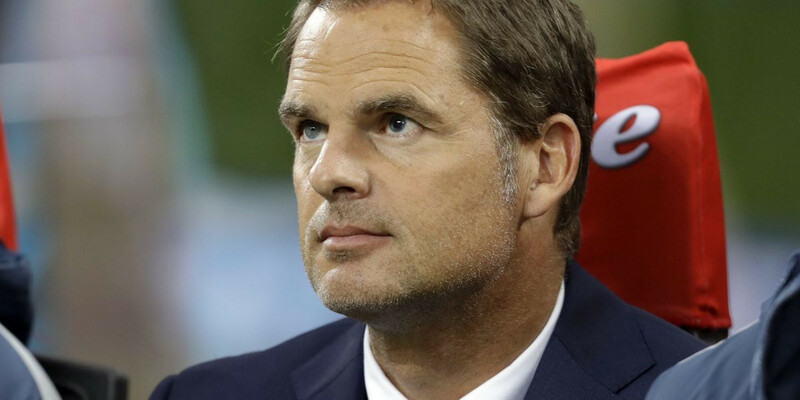 Atlanta United FC announced today that they had hired Frank de Boer as their new head coach following the end of Gerardo Martino's time in Atlanta. The former Internazionale, Crystal Palace F.C. and AFC Ajax head coach will now look to keep Atlanta at the top of Major League Soccer for the foreseeable future. Speaking to the club's official website, Atlanta's President Darren Eales noted that when Atlanta began to look for a new head coach, they wanted someone who would "meet the club's core values" and that de Boer's "philosophical views for how to play" aligned with the team's. Eales also noted that de Boer had a distinguished track record in developing young players and that his multilingual abilities would help a team as multinational as Atlanta's. Vice President and Technical Director Carlos Bocanegra also released a statement on the club's website. Bocanegra noted that de Boer's tactics were similar to how Atlanta had played so far in the MLS and that his player development, as highlighted before, was what made Atlanta bring Frank de Boer into their club. As for de Boer himself, he stated that the club's "long-term stategy to be the best in class" fit his ambitions and that he looked forward to building on the success the club had achieved previously. De Boer ended his statement by pointing out that Atlanta's ambitions were exactly what he believes in as "a person and a coach" which made him "really excited to be a part of". After retiring as a player in 2006, a career that saw him win the Eredivisie (5), the KNVB Cup (3), the UEFA Champions League (1), UEFA Europa League (1) and a La Liga title, de Boer became a youth coach at Ajax. He then took over as a caretaker manager in the 2010/2011 and did well for his hometown club, winning four titles during his time there. He then went on to coach Internazional and Crystal Palace but did not find the same success at those two clubs as he had done at Ajax. As a player, Frank de Boer played for Ajax, FC Barcelona, Galatasaray S.K., Rangers FC, Al-Rayyan SC and Al-Shamal SC before calling time on his career. He also made 112 appearances for the Netherlands and will always be remembered as one of the greats in his country. Do not let de Boer's time in England and in Italy determine his talent at the highest level. If anything, anyone who supports Atlanta United should look to him time at AFC Ajax as a blueprint of what de Boer can do in Atlanta. During his time at the club that made him a household name as a player, de Boer helped Ajax come back from the slump that had seen them not win a title in six seasons. 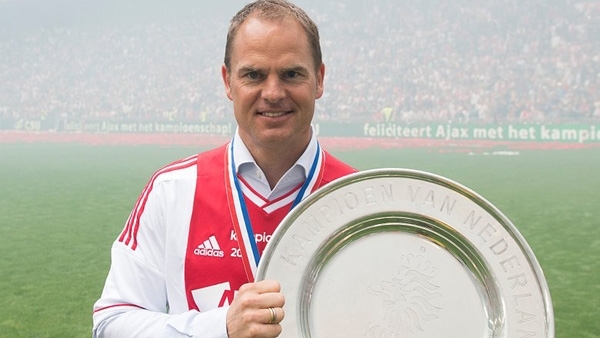 After winning hsi first league title in the 2010/2011 season as a caretaker manager, de Boer went on to win three more titles playing some breathtaking soccer before he resigned in 2016 following a season which saw Ajax lose out on the title on the final day of the season to PSV Eindhoven. De Boer did not only just make Ajax a force in the Netherlands once again but his youth policy harkened back to the days when Ajax was producing some of the best players the game has ever seen during its heydays in the 80s and 90s. Christian Eriksen, Toby Alderweireld and Daley Blind are just a few names that came through the Ajax ranks during Frank de Boer's time at Ajax and have gone on to greater heights since their time at Ajax. For Atlanta, this could give them an opportunity to produce some top quality players through their own academy as de Boer is exactly the type of coach that can nurture young players and make them into formidable players once they reach the senior level. If I am an Atlanta United fan, this appointment would fill me with not only hope for the immediate future but also expectations of the potential future young players from Atlanta could produce under Frank de Boer's tutelage.